By 1970 when Don Gibson signed to Hickory Records, he was already a weathered music industry veteran, successful songwriter and performer. Despite enormous success on the charts, he sent 22 songs into the Top Ten between 1956 and 1974, by the end of the ’60s Don’s album sales were dwindling. Gibson signed to Hickory at the invitation of Wesley Rose who had first signed Don to a publishing deal at Acuff-Rose in 1955. With Rose in the producer chair, Gibson was ready for a second act. 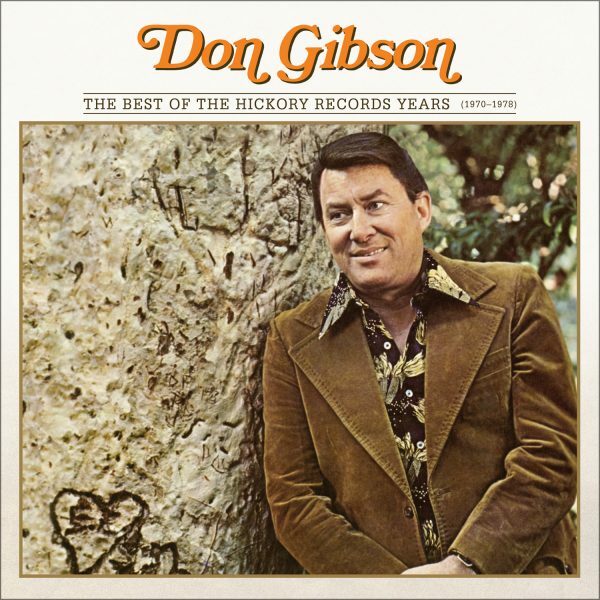 We’ve collected 20 of those US Country Chart Hits here on The Best Of The Hickory Years and added five other key tracks to make this the most comprehensive overview of Don Gibson’s Hickory Recordings. In 1973 Don was inducted into the Nashville Songwriters Hall of Fame and in 2001 the Country Music Hall of Fame added him to their ranks as well. To date over 700 artists have recorded his song, “Sweet Dreams” and it’s only one of the standards from the pen of Don Gibson. Most of the attention he receives today is focused on his exceptional songwriting catalog and his incredible achievements on RCA Victor. He deserves these accolades, to be sure, though they are only part of the story. The Best Of The Hickory Years (1970–1978) brings back an important decade in Don Gibson’s impressive legacy.